I spent the first five months of this year posting almost exclusively about invasive species. There is still plenty more to say on the topic, and I’m sure I will get back to that. However, it is time now to dive into the topic that I really want to explore. Weeds. There is definitely crossover between the two topics – many weeds are invasive species – but there are clear distinctions, too. 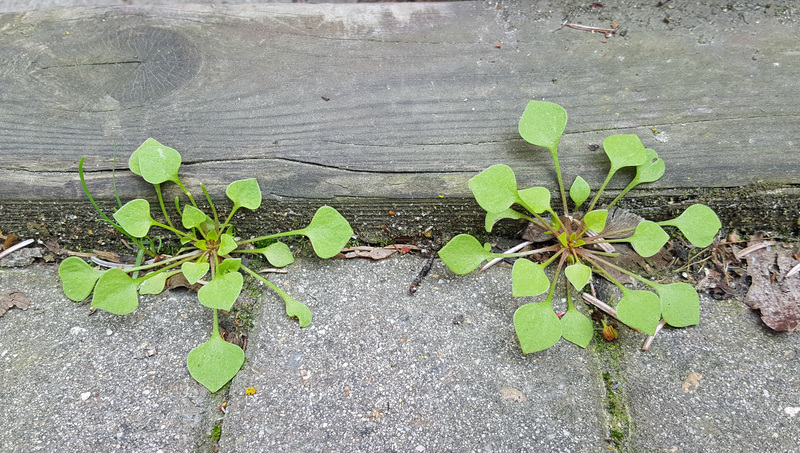 Oftentimes, weeds as a category of plants are unfairly and unjustly lumped under the title “invasive,” but any plant can be a weed at any moment in time if a human says so. That’s the difference. A plant does not have to prove that it is causing any sort of ecological or economic damage to be called a “weed;” it just has to be growing where a human doesn’t want it to. 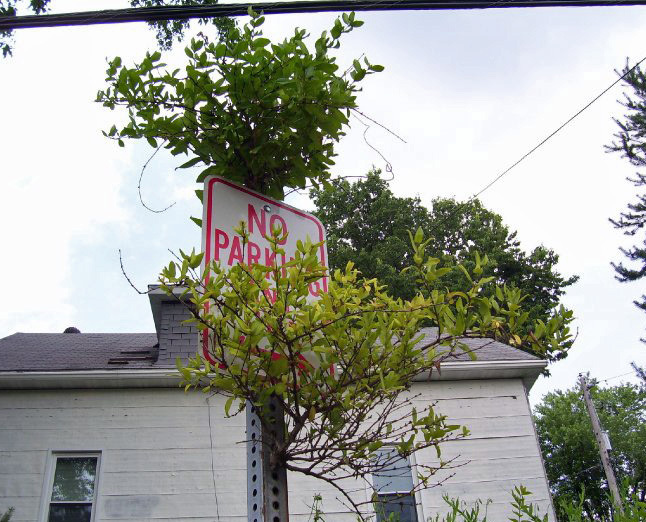 Yet, too quickly a plant “out of place” is cursed at using words like “invasive” or “noxious” regardless of its origin or behavior. I know I’m being overly semantic about this, but it seems unfair (and incorrect) to lump any and all plants that are bothering us for whatever reason into categories that have legal definitions. If you can’t already tell, I am obsessed with weeds. It’s a topic I have been thinking about fairly consistently for much of my adult life. For one thing, as part of my career I spend a huge portion of my time killing and controlling weeds. I comprehend fully the visceral reaction of seeing a garden overcome by weeds – the vile thoughts one can have towards a group of plants that are soiling what could otherwise be a beautiful landscape – and I know very well the backbreaking work and countless hours that go into removing uninvited plants (cursing the intruders along the way). I get why weeds are a problem, and I understand why they are a subject of so much vitriol. Yet, over the years I have developed a respect – even a love – for weeds (despite the fact that I still must remove them and that removing them continues to be an overwhelming task). Unwanted plants have been following us around and getting in our way for millenia. Essentially, we are partners in crime. We intentionally and unintentionally bring plants from various parts of the world on our travels, and through disturbance we create conditions where introduced plants can settle in and thrive. Over time, some once beloved plants grow out of favor and transition from desirable to weedy. As our cycles of disturbance continue, we give early successional, opportunistic plant species a chance to perpetuate themselves, guaranteeing that we will keep such “weeds” with us forever. We reap what we sow; even though we generally don’t plant weeds on purpose, other actions ensure that they will be our constant companions. The importance of weed control goes beyond the aesthetic. In horticulture and agriculture, weeds compete with crops for light, space, water, and nutrients. They also harbor pests and diseases, and their seeds can contaminate crops. In pastures and rangelands, some weeds poison livestock. Certain weeds are harmful to people, too. Other weeds are simply disruptive – getting tangled up in machinery, damaging infrastructure, blocking our vision along roadways, and even giving cyclists flat tires. Apart from all that, even if all weeds did was make our gardens look unsightly, I imagine we would still be pretty angry with them. 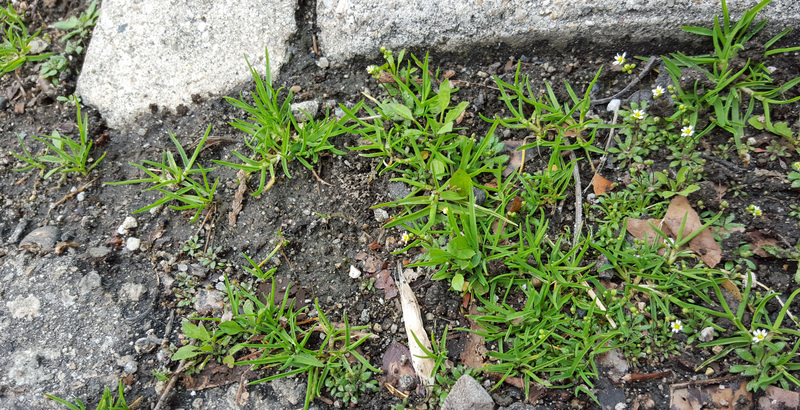 I am interested in weeds wherever they are, but the weeds that fascinate me the most are those that thrive in urban environments. Not necessarily the weeds in our yards, but the weeds that have escaped our fences and property lines; the ones in the margins. We see them in abandoned lots, along roadways, near irrigation channels, and in other neglected spaces. They pop up in the cracks of sidewalks, on rooftops, in the middle of decaying buildings, and anywhere else that people haven’t paid attention to in a while. Urban areas have, for the most part, been scraped of their native flora. Introduced species move in to fill that void. As Richard Mabey writes in his book about weeds, these plants “insinuate the idea of wild nature into places otherwise quite shorn of it;” they are “the very essence of wildness.” Novel ecosystems, like those created by urbanization and human development, are with us whether we like it or not. There is a “wildness” to them that is unlike other cultivated and manicured areas maintained by humans. These urban wild places are worth a closer look. So, what is the Summer of Weeds? Put simply, it’s an exploration of weeds. Throughout the summer I will be profiling some of the weeds I come across in my daily life. I will include photos, a brief description, and some interesting facts about each species. I will also include quotes about weeds from various sources, as well as videos, links, resources, and whatever else I come across that seems worth sharing. I hope you enjoy it. If you have anything to add along the way – specifically any personal thoughts or stories to share about weeds – please do. You can contact me via the usual ways: in the comment section below, through the Contact page, or on Twitter, Tumblr, Facebook, or Instagram. Happy Summer! This entry was posted in Horticulture and Agriculture, Plant Ecology, Urban Ecology and tagged agriculture, cities, horticulture, introduced plants, invasive species, novel ecosystems, plant ecology, Summer of Weeds, urban ecology, urbanization, weeds. Bookmark the permalink. You are not the only one who thinks a lot about weeds while pulling, chopping, or smothering them. Looking forward to seeing your thoughts about various plants. Also a question: Is that red stemmed springbeauty (Claytonia rubra) in your first photograph? I do not really think of it as a weed in my garden since it is edible, easily pulled, and not furiously aggressive. I would rather have it than something like shepherd’s purse or black medic. I’m sure there are plenty of us out there. 🙂 Thanks for reading! Yes, the first photo is either that or miner’s lettuce (Claytonia perfoliata). Not 100% sure. I don’t think of them as a weed either, but some might. They do seed around quite a bit and pop up in unexpected places. 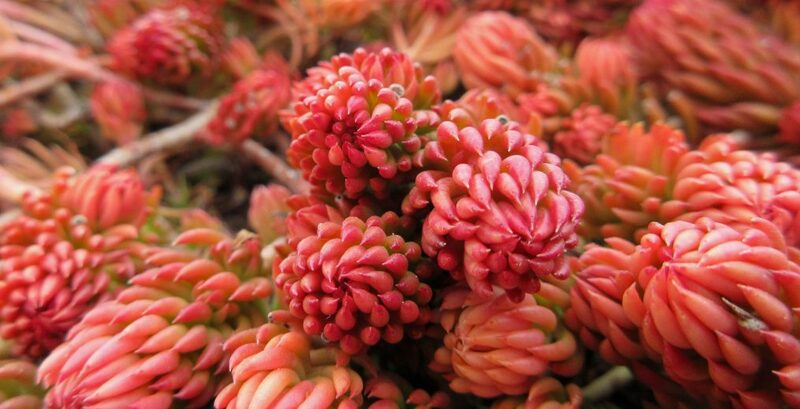 Though they’re definitely not nearly the nuisance that other plants can be. Is the Claytonia a native? It is hard to get my head around the idea that natives can be weeds, but I suppose if they are unwanted they are. The book Weeds of the West has quite a few natives in it if I remember correctly. Yes, it is native as far as I know. If we are defining a weed as a plant growing where a person doesn’t want it to, then I suppose any plant can be a weed regardless of its provenance. Weeds of the West indeed has several natives in it. I think many of them are included in there because they are poisonous or undesirable to livestock, or because they are hosts to pests or diseases that are harmful to agriculture. Why did I include a picture of a native plant in a post about weeds? Because it is growing in the cracks of a patio, and for many people this is undesirable (myself not included).